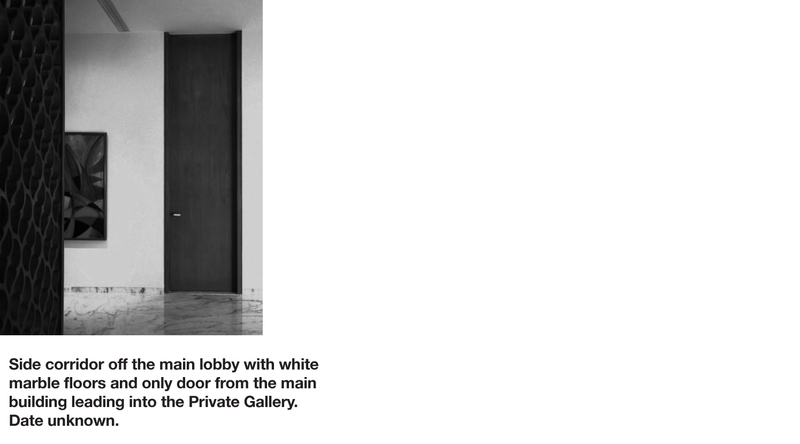 Located off the main lobby is a long corridor with a narrow tall nondescript door that lead into the Private Gallery. After Enright resigned from the board of the MoMA in 1944, he converted a 3,000 sq. ft. storage space off the main lobby and built a 10,000 sq ft addition which extended into the center courtyard of Enright House. The 24’ ceiling height was ideal for displaying Enright’s large-scale works from his collection. 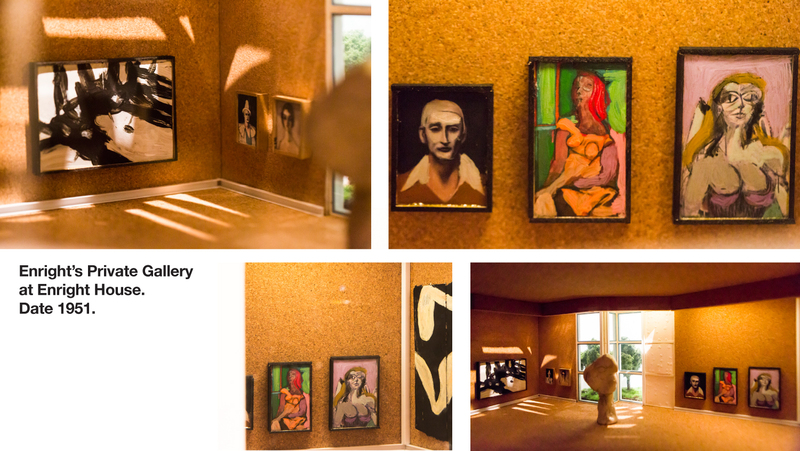 For the design and expansion of the Private Gallery, Enright called upon Donald Deskey (Howard Roark was in Brazil working on a new project and was unavailable). Enright was always impressed by the grand vastness of space at Radio City Music Hall and wanted to capture that grandness. An added bonus was that Deskey worked in cork and Enright’s only request was that the floors, ceiling and walls be covered in cork. The construction took 15 months to complete. On the day of completion Enright walked into the Gallery and Desky observed a tear on Enright’s left cheek. Deskey was a bit mortified and asked if anything was wrong. Enright’s response was “You have taken me back to the most joyous time and place. Thank You, Thank You”. * Deskey was not quite sure what he meant, but was very pleased. Enright was know to spends hours in the Private Gallery and was observed sitting on the floor, staring at the space or a particular work of art. With the lobby, public and private corridors, the Private Gallery and an additional gallery and art storage space on the third floor, Enright had amassed 22,300 sq ft of exhibition space. By comparison the MOCA (Museum of Contemporary Art in Los Angeles) has 24,509 of actual exhibition space.